any people see Mr. Narendra Modi with a hope for future of India. Even British Parliament endorsed him and invited him to address their country on ‘The Future of Modern India’. People see him with a hope - what he has done for himself a move from ‘Tea Stall to next PM candidate’ - This should inspire and motivate every young Indian. It was heartening to see that even British parties are keeping themselves informed as to what is happening in India and their NRI constituents want to keep in touch. So should NRI community in USA and Kashmiri Hindu community worldwide who has been forgotten and is scattered community living in exile. 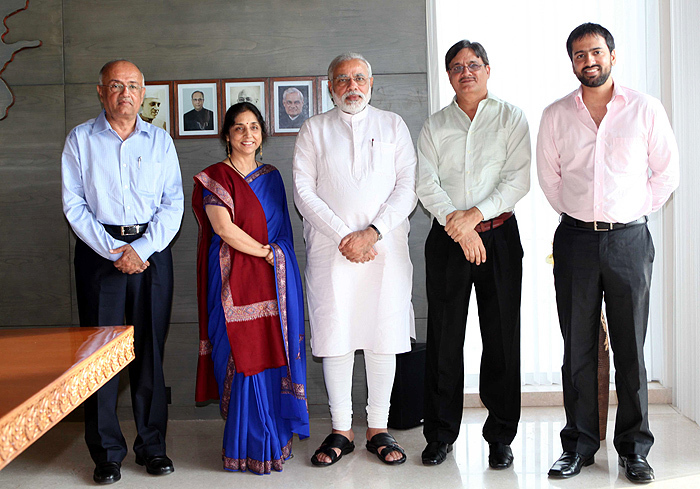 Keeping that in mind, Kashmir Hindu Foundation sent their delegation from USA to Gandhinagar, Gujarat to meet Mr. Narendra Modi. More details to follow soon. It was honor and pleasure for us that he could spare valuable time from his extremely busy schedule to listen to the woes of forgotten community of Kashmiri Hindus. When traveling from the US to India, I was not sure whether we would be able to get an appointment with the most sought after and busy politician of India who is changing the political landscape and dynamics of elections in India. We were not sure whether a request from a relatively small association of Kashmiri Hindus from the US would be of any interest to him. We are neither a vote bank, nor have any influence in the political circles. But it was felt by us that the only hope this hapless forgotten community has after our struggle for 23 years lay in him. It was very pleasing to know that Modiji despite his busy schedule decided to meet us on the next day of Independence Day of India. At the appointed time of 6PM on 16th August, we arrived at the office of the. Chief Minister of Gujarat and after a brief wait, we were asked to enter in his office. 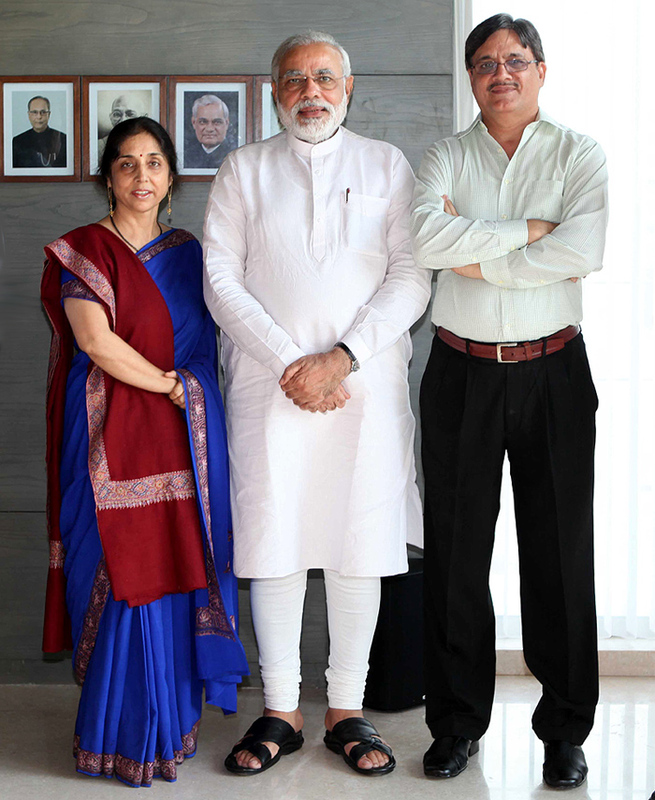 Sitting at one end of his large office, in white Kurta was this charismatic man and we could feel the aura, usually associated with such people.. It was not because he is a Chief Minister or a Prime Ministerial candidate, but because he is very intelligent and knows his potential. His office had done full background check of our organization -KHF and its participants. After exchanging greetings, we all sat and he asked us to state our position. He knew more about Kashmiri Hindu problems than many politicians. He had visited the Pandit Refugee camps in Jammu and knew very well how 350000 Kashmiri Hindus were forced to leave their homes and live like refugees in other parts of India. He does not believe in giving just a lip service to keep us happy or pleased, or give false hope but believes in lighting the fire from within. God helps those who help themselves. The community needs to come out and fight for its rights and the help will be on the way. A meeting that lasted for more than 30 minutes made us believe in our capabilities and the support we will get from a proven leader of masses who will call a spade a spade and has the capacity and capability to get the results. At the end of the meeting we wanted to take a picture of this memorable event but we were not allowed to take any cameras or cell phones inside and were wondering how could we get these moments captured? However when one of us expressed this desire, he immediately called in his staff to arrange for a picture. A moment to remember! Narendra Modi has changed the face of Gujarat for the better and we need him to lead the country on a similar path of modernization and progress. I am very hopeful that he can do something for the kashmiri hindus. So far he has done nothing,not even in gujarat. Nor could vajpayee govt do anything. But i am positive something better will come up when modi jee wil become pm. I feel that Mr Narendra Modi will finish unfinished work of Sardar Patel. After becoming Prime Minister in 2014, He will Reform United India and will form unified single Kashmir state, Single United Punjab and Single united Bengal State and rewrite history by changing geo-political state of India. He will form United States of India by merging Pakistan and Bangladesh with India and will improve Political and Economical state of entire Indian Subcontinent by his Hard Work and Honest Integrity. As true Indians we must now work harder for ensuring that this man gets a chance to change the destiny of this great country. We can work as his supporters, PR man whatever you may call it. We should not stop at the photo session only. Good job and good luck. Congratulation, this is a great initiative from KHF. 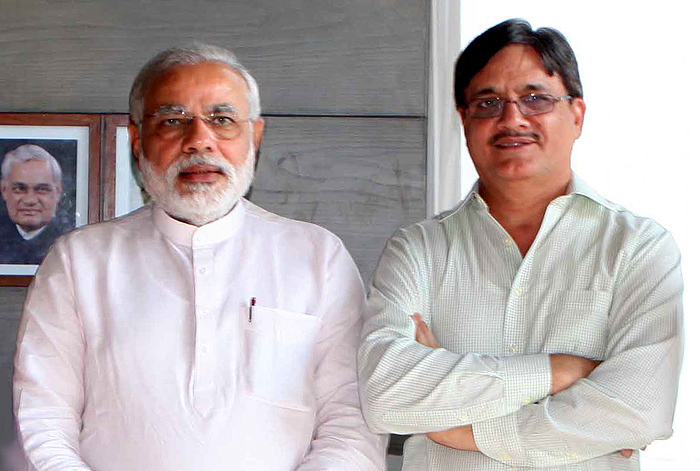 We hope that Modi wins and transforms the country. Good job done to meet Modi. I won't worry much if he may not fulfill the promises what he made to Indian public but I would still support him and wish him to be the Prime Minister of India because he shares and respects my values and belief with core of his heart.